Manny Pacquiao meets Adrien Broner tonight in Las Vegas. 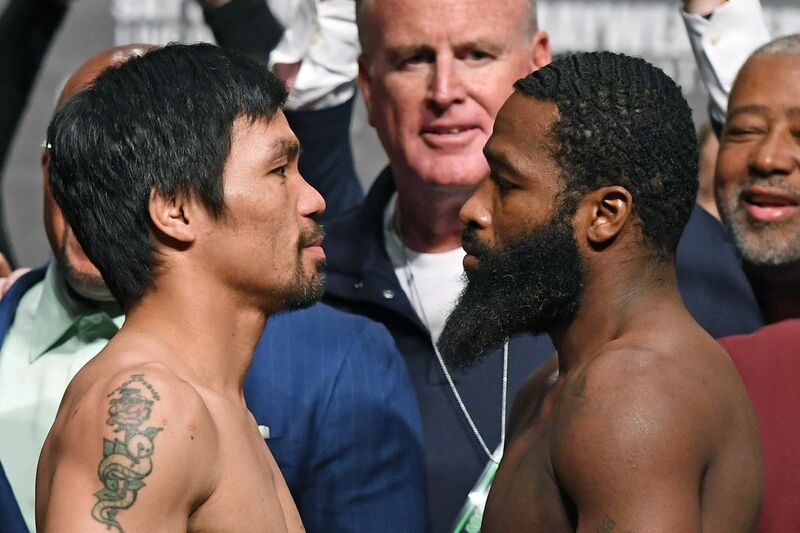 Tonight at 9 pm ET on pay-per-view, Manny Pacquiao defends his WBA “world” welterweight title against Adrien Broner in the main event from Las Vegas. Pacquiao (60-7-2, 39 KO) won the belt from Lucas Matthysse last July in Kuala Lumpur, and the fight tonight will be his first bout in the United States since Nov. 2016. Broner (33-3-1, 24 KO) is 0-1-1 in his last two outings, losing to Mikey Garcia and drawing with Jessie Vargas. But he’s much younger than the 40-year-old Pacquiao, and has an opportunity to finally become the A-side star he’s always wanted to be. In the co-feature, Badou Jack (22-1-3, 13 KO) faces Marcus Browne (22-0, 16 KO) in a pivotal light heavyweight fight for the WBC silver title. Also on the pay-per-view undercard, Rau’shee Warren (16-2, 4 KO) meets Nordine Oubaali (14-0, 11 KO) for the vacant WBC bantamweight title, and Hugo Ruiz (38-4, 33 KO) takes on Alberto Guevara (27-3, 12 KO) in a 10-round featherweight opener. By the numbers: Salah to take home Golden Boot once again?